The definition of employee has been amended. Purpose is to explicitly ban employers from treating employees as independent contractors for the purpose of the ESA. Entitlement to parental leave is increased from 35 to 61 weeks for employees who take pregnancy leave and from 37 to 63 weeks otherwise. This leave used to be only for child (which is and remains 37 weeks) but now includes an expanded definition of “family member” and includes adult family members. Leaves related to adult family members is 17 weeks. Minimum wage increases to $14 per hour with similar increased to students under 18, liquor servers, and homeworkers. The minimum wage will increase to $15 per hour on January 1, 2019. “Three Hour Rule” takes effect providing that employees who are on call or on shifts requiring less than 3 hours, be paid at least 3 hours regular pay. Employees have a right to refuse requests or demand to work on a day than employee is not scheduled to work with insufficient notice and entitlement to be paid for 3 hours of work in the event of cancellation with insufficient notice. Employees are entitled to request changes to their schedule or work location. Employers must discuss these requests with the employee and either grant the request or provide reasons for a denial. Vacation time entitlement is increased to 3 weeks and vacation pay to 6% after an employee has worked with the same employer for 5 years or more. Employer are required to retain vacation records for 5 years (was 3 years). Regular wages earned in pay period immediately prior to public holiday ÷ number of days employee worked in that period. Employers are required to provide an employee with a written statement that sets out certain information when a day is substituted for a public holiday. For employees who work more than one position with an employer, the blended rate is repealed and the employer is required to pay overtime based on the rate of pay for the work being performed at the time the overtime hours are accrued. Agreement in writing includes an agreement in electronic form. Applies to all employees and not just employers of 50 or more employees. Employees are entitled to 10 personal emergency leave days in a calendar year, two (2) of which are paid days, if the employee has been employed for one week or longer. The paid days must be taken before any unpaid days of personal emergency leave. Employers have the right to require evidence of entitlement to these days but are not permitted to require a certificate from a qualified health practitioner – no sick notes. Increased to 28 weeks (from 8 weeks). Definition of “family member” greatly expanded. Definition of “qualified health practitioner” expanded. Amended to allow up to 104 weeks for crime-related child disappearance leave (was 52 weeks). New. Up to 10 days and up to 15 weeks leave. First 5 days are paid. Temporary help agencies are required to provide an assignment employee with one week’s written notice or pay in lieu if an assignment that was estimated to last for three months or more is terminated before the end of its estimated term unless another assignment lasting at least one week is offered to the employee. Separate persons are treated as one employer if associated or related businesses are or were carried on by or through an employer and one or more other persons. This does not apply to the Crown, a Crown agency or an authority, board, commission or corporation appointed by the Crown. Employees are no longer required to address an alleged contravention with the employer prior to filing a claim with the Ministry of Labour. ESA provisions apply to employees of the Crown or a Crown agency. The list of persons exempted from the ESA is amended to exempt only individuals who perform work under a program that is approved by a private career college registered under the Private Career Colleges Act, 2005 and that meets such criteria as prescribed. Change in the definition. Amended to provide for entitlement to equal pay regardless of difference in employment status as well as equal pay for assignment employees of a temporary help agency. Employees have a right to inquire about rates of pay without reprisal. Includes a midwife and a registered nurse holding an extended certificate. Note: only birth mothers can take “pregnancy leave” which is up to 17 weeks. Was only for a child – but now includes any critically ill family member. Need a certificate from a qualified heal practitioner stating that family member is critically ill and requires support and sets out the period of time family member requires care or support. Up to 10 days and up to 15 weeks leave. First 5 days are paid days. Employer entitled to request employee provide evidence reasonable in the circumstances. Applied only to employers with 50 or more employees. Now applies to all employers. 2 of the 10 days must be paid. Employees are entitled to this leave once employed for one week or more. No doctor’s notes - Employer can require employee to provide evidence reasonable in the circumstances – but cannot require a certificate from qualified practitioner. 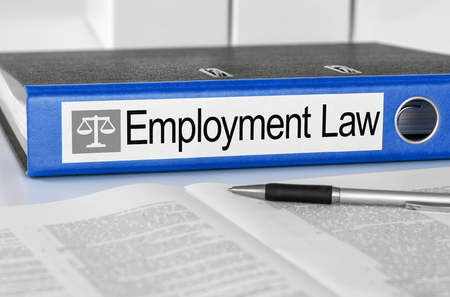 The above consists of an overview of some of the key changes to the Ontario Employment Standards Act, 2000. 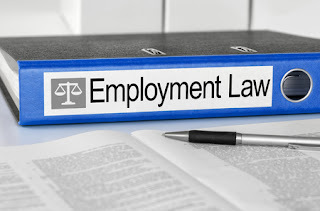 Should you require further assistance with these legislative changes or with employment law in general, please contact Dale & Lessmann LLP and speak to one of our employment lawyers.